Dixie Cutter M5 brush hog. Is my tractor OK to use this? Yep, My 8N has been running a 5 footer all its life. Still runs one now. If you hit stuff taller than the tractor, just take a narrower cut. 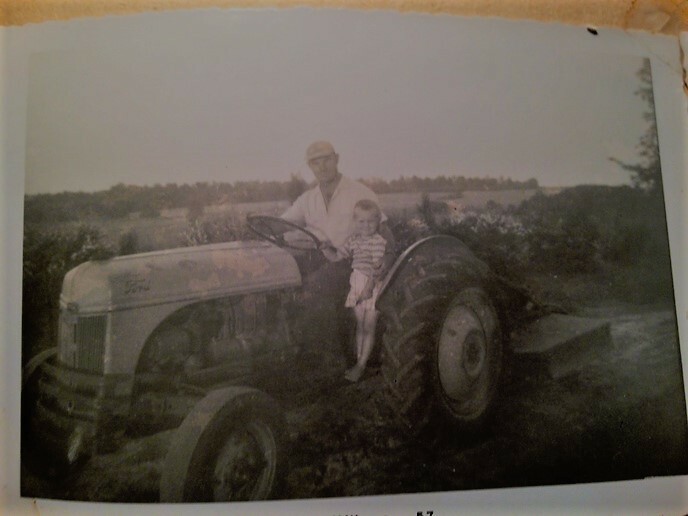 Daddy and me on my 8N about 1955. Can you explain for me. I am new to this whole tractor brush hog thing. Thank you. Great Picture. Thank you for your message! So, the 8N like many other older tractors have the PTO directly connected to the transmission, what will happen when running a bush hog is the blades and stump jumper will act like a big flywheel and push the tractor even after you press the clutch all the way down. a overrun clutch acts exactly like a ratchet does, it only allows the tractor to supply power to the mower but when you press the clutch and the PTO stops on your tractor the overrun clutch with ratchet and allow the mower to keep turning separate from the tractor. I don't have enough experience with the 8N to tell you exactly which one you need but they will look something like this https://www.ruralking.com/country-way-clutch-over-running-1-18-x-1-3-70670 if the link works. Just an aside...my Dad would tell about when he worked for the county mowing roads for one summer in the 50's. Learned about bush hogs pushing the 8N when he ran over a mailbox.